This Ebel 82656n2s was auctioned at Worthy. 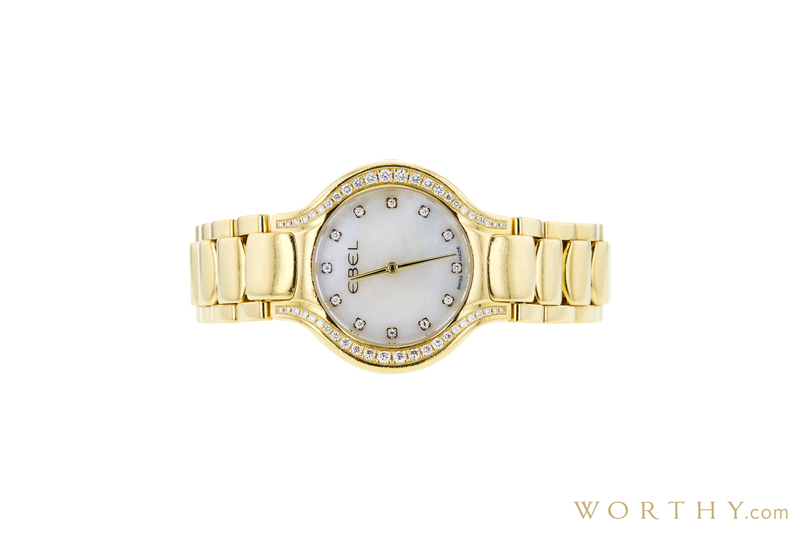 The woman's watch is 30.5 mm in diameter with yellow gold case, yellow gold band. It features complication and quartz movement. It is in fair condition and attracted 135 buyers.